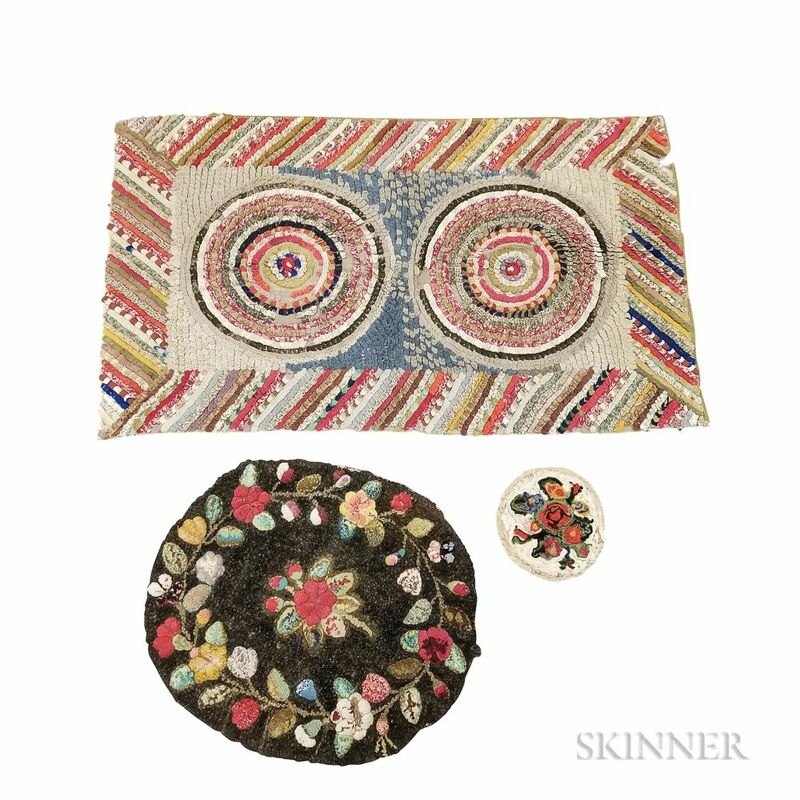 Floral-decorated Hooked Mat and Two Shirred Mats, lg. to 41 in. Large Framed Needlework Sampler "Ann Cowley,"